One of the oldest towns in Latvia Valmiera is a most beautiful and romantic town lying right on both banks of the Gauja River. It is located in the Vidzeme district and is a popular town which Estonians, Lithuanians, Germans and Fins make as their destination for a one-day trip. 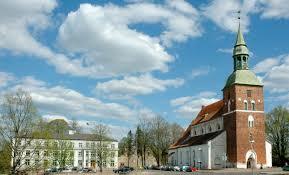 The town’s name in Latvian means “a tranquil place”. 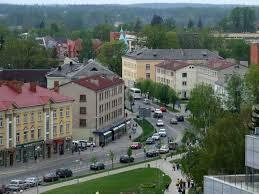 The heart of the town is a bridge spanning the Gauja and above it is a medieval bastion known as the “Stork’s Nest”. There is a lot for tourists to enjoy in the Valmiera region like lots of opportunities for eco-tourism and different kinds of outdoor activities. In the winter you can find places for skiing and in the summer you can take boat trips on Lake Burtnieks. When visiting Valmiera you’ll want to take a look at the Valmiera Theater which is one of the best theaters in Latvia. There are tours available behind the scenes, you can meet with popular actors, shop at the theater boutique and relax and enjoy some coffee. Explore Valmiera Castle Ruins and Fortification. This was a former castle of the Livonian Order that has medieval fortifications and dates back to the 13th century. You can now see the Order Castle ruins and the remains of the fortifications near the Gauja River. St. Simon Church has amazing Romanesque and Gothic style architecture. The church has 15th – 16th century burial plaques of town notables, there is a pipe organ that was built in 1886 by well-known European organ builder Friedrich Ladegast and paintings on the pulpit. The organ loft was built in 1730. There is an exhibition space in the church tower and from a viewing platform you can get great panoramic views of Valmiera. Located in the old center of Valmiera the Valmiera Museum of Regional History is not far from the old castle. The museum consists of eight houses all within the area of the Livonian Order castle ruins. The houses consist of exhibition halls, a depository, a reading room and the museum administration. This museum was founded in 1959 and is one of the most important depositories of historical valuables in Vidzeme. Here you’ll find about 60,000 artifacts, photos and historic, artistic and archaeological documents. The largest collection is paintings by various Latvian artists like Teodors Uders, Janis Kalmite, Rudolfs Voldemars Vitols and Peteris Postaza. Each year there are more than twenty artistic, thematic, historic and other kinds of exhibitions held. You won’t want to miss seeing Valmiera Old Town. Here you can find buildings which date back to the 18th – 19th century like the Old Pharmacy, the Little House of Valters and the Postal Service Horse Station. The little streets will take you back into history. The Old Pharmacy at Bruninieku Street is the oldest wooden building in the city and the second oldest pharmacy in Latvia built in 1735 above the cellar of the Livonian Castle. Take the Barefoot Nature Trail located on the steep banks of the Gauja right next to the Dalins Stadium. It is 27 km long and made up of different nature elements. Visitors can enjoy walking through blue glass balls from Valmiera Glass, pine cones, chestnuts, sands and other kinds of element. These will train your coordination. The natural and cultural history trail is 2,7 km long and starts at Burtnieku Manor Park Gate and leads you to the bird watching tower at Burtnieks Lake floodplain meadow. The trail is marked and if you wish you can get a guided tour. Relax by Burtnieks Lake. 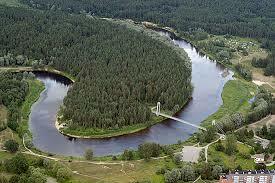 This is the fourth largest lake in Latvia and a total of 23 rivers flow into the lake. This lake is popular with fishermen and is home to over 20 species of fish. There are six boat bases here. The steep banks of the Gauja are a national nature monument and this is a popular place for promenades. This is a wonderful town to visit and in the summertime in Valmiera you can find lots of lovely outdoor cafes along the banks of the Gauja.